Create visuals that share key points from your written content. Many people prefer to consume their information in a visual format, so you'll be appealing to different learning styles. Plus, by sharing the visuals on a variety of platforms, you'll be getting more exposure and awareness of you and your brand. 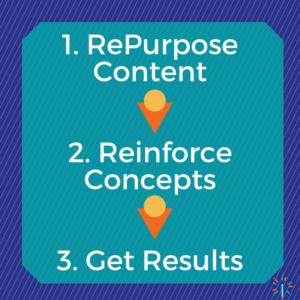 When you repurpose key points from a course into a visual format, you're reinforcing what people learned and providing a valuable resource to help them implement and get results. Think you're not good at design and can't do this kind of repurposing easily? Our favorite tool for creating visuals is Canva.com. It's free, has all the tutorials you could need, and has so many design templates for different types of visuals that you'll never be at a loss. Take a look at these two examples, which we created from our customizable course called List Building Lead Magnets. This first visual was created using a simple presentation template in Canva for slides. Then we just duplicated each slide and changed the text and colors. We also uploaded our logo to Canva and pasted it onto each slide. Finally, we hyperlinked the text on the last slide to our product page to promote List Building Lead Magnets. 2. 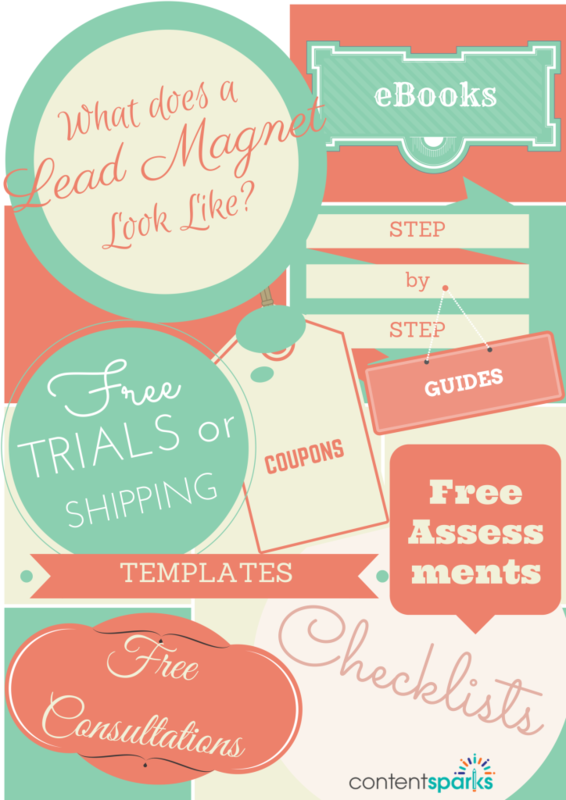 What Does a Lead Magnet Look Like? This infographic was created with one of the generic infographic layouts in Canva. Then we pasted in different shapes (all free), text, and colors. And, of course, we put in our logo. The last step was to download the design as a high quality image. All the actual text content from both designs came from List Building Lead Magnets, so no thinking was required on that end! Take a look at Canva and play around with it. Create a quick social media post, redo your social media cover image, create a coupon to post on your site, and try your hand at a simple infographic. Have you tried Canva yet? What's your favorite way to use it?